PODCAST203 IS READY FOR YOU...TO VIEW! 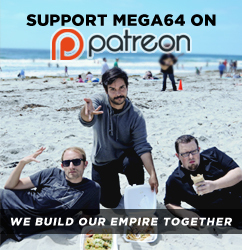 Before I let you get back to your day, I think you should go check out our Mega64 Store!Â We have started to run low on those Soviet64 shirts, so if you were going to buy one now is the time. We also have a new video coming very soon, so keep an eye out!